PCGS has graded and encapsulated a limited number of Apollo 11 50th Anniversary commemorative coins on behalf of The Astronauts Memorial Foundation (AMF). The coins provided to PCGS are from AMF’s limited allocation of Launch Ceremony products and feature an insert with a hand-signed signature from Apollo 13 astronaut Fred Haise. 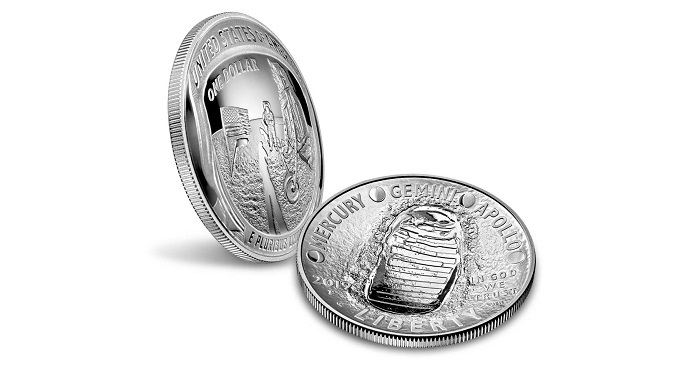 The Astronauts Memorial Foundation is excited about partnering with PCGS on the grading and encapsulation of these historic Apollo commemorative coins. We chose to work with PCGS due to their high-regard in the numismatic community and the safety, security, and aesthetics of the PCGS holder. By combining these coins with American hero Fred Haise’s signature, we are offering a unique collectible to both the numismatic and space hobbies/markets. All coins offered for sale by AMF come from the official First Day of issue Coin Launch Ceremony at Kennedy Space Center on January 24, 2019. Only the coins submitted by AMF to PCGS will carry this “Launch Ceremony” pedigree. The proceeds from the sales of these coins will go to further AMF’s mission to both honor our fallen astronauts and inspire future generations of scientists, technologists, engineers, and mathematicians.